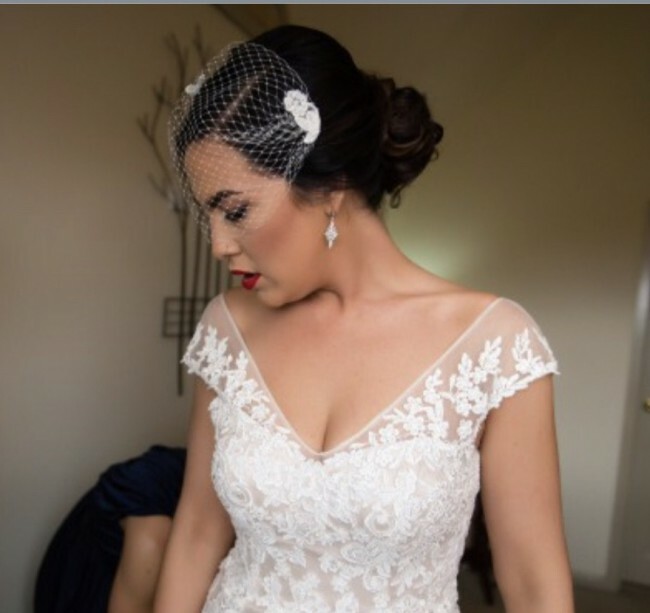 This beautiful MS Lucinda wedding dress is truly one of a kind. Worn once only for a few hours, this dress is in excellent condition. It is elegant, simple, and most definitely a show stopper. The MS Lucinda dress has been discontinued making it a rare find. It can be dressed up traditionally or made to look vintage as shown in the pictures. Either way, whomever the lucky bride is will feel beautiful in this dress on her wedding day. The waist was taken in slightly, however the measurements listed are current.